The Design: Stunning, sleek anodized aluminium unibody design phablet that is only 7.1mm thick. The Display: 5.5" IPS LCD, 1080 x 1920 pixels, 401 ppi pixel density. The Camera: 8MP camera, F2.2 aperture, with optical image stabilization, simultaneous HD video and image recording, back-illuminated sensor (BSI), HDR, 1080p full HD video recording @60fps or 720p @240fps (for slow-mo recording), 1.2MP front-facing camera. The Audio: Speaker on the bottom of the phone which delivers a relatively loud and clear sound. The Battery: Capacity: 2915 mAh. Talk time: Up to 24 hours for 3G. Standby time: Up to 384 hours. The UI Speed: Smooth and fast, without any lag even with several demanding applications open in the background. 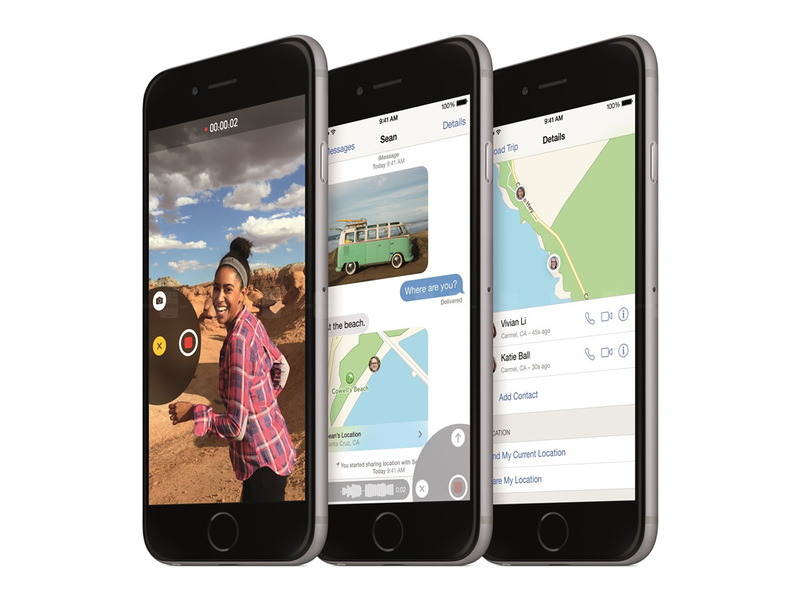 The iPhone 6 plus is Apple's first entry into the phablet market and is essentially exactly the same as the iPhone 6, just larger - the only differences being a higher screen pixel density, a larger battery and optical image stablization on the camera. 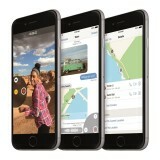 The question of whether you would prefer the iPhone 6 or the iPhone 6 Plus comes down to whether you prefer a bigger screen (0.8 inch larger than the iPhone 6) and perhaps to a lesser extent, a moderately longer battery life. Is it better than other leading phablet devices on the market? From a specs point, though it's certainly not at the top, especially from the point of view of camera capabilities or the screen, it's in the ballpark. There's no arguing it's a beautifully designed device, constructed from quality materials and whether you would prefer the iPhone 6 to other phablets running Android or Windows rests on which operating system / manufacturer experience you prefer. The iPhone 6 Plus comes in 16GB, 64GB and 128GB variants. Stunning, sleek aluminium design, large 5.5" retina HD display, user-friendly and seamless iOS 8, large 2915 mAh battery, great connectivity, fingerprint scanner. Non-expandable storage, proprietary USB connector, camera resolution only 8MP, specs lower than most other phablet devices, expensive. Find the most competitive price for the iPhone 6 Plus in the table below. If viewing from a mobile device please click on + to get more information.